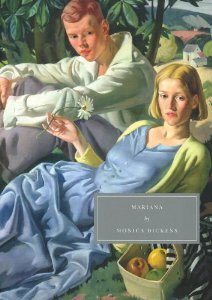 When I mentioned on Twitter last weekend that I was considering reading Mariana by Monica Dickens, Frances almost immediately piped up to say that she “looooooved that book.” That was more than enough to get me to read it, but then Thomas showed up and reported that he thought it was boring. Uh oh. Thomas is not the sort to mind slow, quiet books, so that did not bode well, but I decided that I would go ahead and read it to break the tie. Then, Rebecca joined in and said that she could see that it was a good book but that she too found it boring. Hmm… so now the tide is tipping toward boring. What would I think? Mary sometimes heard people say: ‘I can’t bear to be alone.’ She could never understand this. All her life she had needed the benison of occasional solitude, and she needed it now more than ever. If she could not be with the man she loved, then she would rather be by herself. The past, the certain past, was the thing to hold on to. It was safer to look back than forward. While she lay and waited, watching the vague, agitated shape of the curtain at the mercy of the half-open window, hearing the wind and rain, and the barking of a foolish dog across the marsh, she thought of all the things that had gone, the years that had led up to this evening—the crisis of her life. All the trivial, momentous, exciting everyday things that had gone to make the girl who in the linen-scented darkness waiting to hear whether her husband were alive or dead. The ensuing chapters, which make up most of the book, are Mary’s reminiscences about her life. She remembers holidays playing with her cousins at the family home in the country, various humiliations at school, adventures with her beloved uncle Geoffrey, the heartbreak of unrequited love, a sojourn in Paris—all the events of her life that made who she is. Particularly striking about these memories is that Mary herself is not a striking girl. And I don’t mean that she’s endearingly humble or more talented than she lets herself realize. She’s just ordinary. Her triumphs are few and insignificant. As a heroine, she is pretty dull. But I didn’t find the book dull. Mary herself may not be interesting, but her memories are so vivid that I got completely drawn in to her story. Dickens writes beautifully detailed descriptions of everything Mary sees and feels (note the “linen-scented darkness” in the passage above). Also, these are Mary’s memories of what led her to this point. She sees her life as having made her into who she is—she has not seized control of life and shaped it herself. And I think that feeling of being directed by life creeps into the narrative. Even though Mary does take decisive action when necessary, she also lets things happen, drifting along to see where life takes her. When you were born, you were given a trust of individuality that you were bound to preserve. It was precious. The things that happened in your life, however closely connected with other people, developed and strengthened that individuality. You became a person. Although I perhaps didn’t love this as much as Frances did, I liked it an awful lot and didn’t find it at all boring, although I can see how one would. What I liked is that Mary’s journey is everyone’s journey. The details differ, but this central struggle is the same for everyone, and Dickens captures it extremely well. Oh, thank you for reminding me of Monica Dickens. “One Pair Of Hands” is delightful and recommended. I’d like to read more of her books. I’ll look for that one! This is apparently semi-autobiographical, so perhaps it will be more like the autobiographies. I only just recently learned about Monica Dickens. I’m really looking forward to her memoirs, but I wasn’t sure where to start with her fiction, but this seems like a good place to start & I’ve ordered a copy (which fortunately will arrive after the TBR dare ends!). I’ve not read any of her other books, and this was a fine place to start. I’m not sure I CAN see how anyone could find this boring – it’s so funny and charming. Sure, there are no car chases or explosions, but the everyday is rendered so vividly and amusingly. 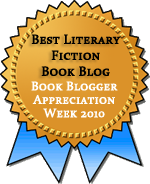 I loved it when I read it, and it remains a cherished comfort novel. The vivid descriptions certainly kept it from being boring to me, but perhaps if I’d picked it up looking for something more exciting, I would have felt differently. I think, though, I would have recognized it as a problem of my mood. I read one of Monica Dickens’s books a few years ago (I think), and I loved the writing but got bored with the story. Like this one, there wasn’t a lot going on. And I do love a good story! This has a good story, but I often like a quiet story. Well, I loved it, and I didn’t find it boring at all! I also enjoyed ONe Pari of Hands, one of her nonfiction memoirs about life as a domestic. I still have The Winds of Heaven unread but hope to get to it eventually. I have The Winds of Heaven on my e-reader, and One Pair of Hands sounds great. I think my library has that. I had never heard about Monica Dickens so thanks for your beautiful post. I loved Mariana, I like slow quiet books though as a rule. I really enjoyed Mary’s reflections on her childhood, and rather loved Geoffrey myself. It is a while since I read it – but I remember it very fondly. Geoffrey was wonderful! The night he took her out was hilarious, and the turn his life took toward the end was such a surprise. I have fond memories of this book. Your post has make me want to re-read it. It does seem like a book that could stand up to multiple readings. I have been looking for a copy of One Pair of Hands by Dickens for some time, but it is hard to find! I think I will try that one first- not sure this one will appeal to me. You can get second-hand copies from the British Amazon for a penny (plus postage), over here. I have found buying second-hand copies from third-party sellers via Amazon is a great way to buy out-of-print books. The prices surprisingly often come down to pennies, or a penny, so you’re essentially paying postage. You can get books from “Acceptable” to “As New” quality, and they can sit on the TBR pile for as long as you like, without attracting library fines. With British books, check out the British Amazon before giving up. I was amazed to see that my library has a copy! I consider the library an extension to my TBR pile–if I don’t get around to reading a book the first time I check it out, I just check it out again :) But for books the library doesn’t have, third-party sellers on Amazon are biblio.com are a great sources.